On Wednesday a delegation of 5 members of Climate Action Moreland met with our Federal MP for Wills: Peter Khalil. Peter was elected in 2016 in a tight race against Greens candidate Samantha Ratnam to replace retiring Labor MP Kelvin Thomson. Kelvin had a record of being a champion in both the ALP caucus and in government for strong climate action. We are hoping Peter Khalil will continue this leadership record on climate change. Half an hour was scheduled but it was pretty obvious that there was far more to talk about on climate policy than the time allowed. Unfortunately we caused at least one of Peter Khalil’s appointments to be missed. This is perhaps a sign that regular meetings (six monthly?) need to be scheduled allowing for an hour or more for discussion. This was not a simple interview to sort out a group of constituent’s problems, but an important ongoing issue of concern to many of Moreland’s citizens. It become pretty obvious that Peter Khalil is highly interested in policy and in tackling the complex area of climate change policy and action. This should be no surprise as Peter is a former policy advisor to Kevin Rudd and holds a Masters degree of International Law from Melbourne University. While Climate Action Moreland is primarily a grassroots activist group on climate issues for Moreland, we have members with expertise in climate science communication and have also contributed to a number of Parliamentary Inquiries through the submission process contributing in a small way to policy formulation. Peter Khalil has started to hold policy forums for Moreland citizens to attend. (There has already been one on the refugee issue). A forum on climate change may be in the pipeline for early next year. We discussed this and talked about the importance of connecting climate change to a sense of place, an emotional narrative and particular events (such as heatwaves). Peter was open to having a second forum on building climate resilience in Moreland. We think this would be an important discussion to focus on the urban heat island effect and how it is related to and impacted by climate change. This is something that many Moreland residents can directly relate to and connect the dots with climate change. 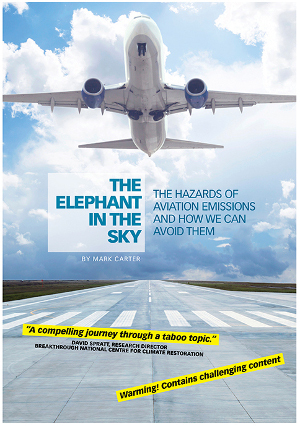 Before the last election John Englart read and analysed the ALP’s Climate Change action plan. While overall it was a positive statement and plan, John found three enormous black holes, or silences in the policy. 1. There is no mention of export coal, or approval of new mines in a carbon constrained world. Export of coal to both India and China has peaked and is in decline because of pressures within these nations to cut pollution and transition to renewables. We need a plan to support the coal industry in a measured decline, especially around thermal coal exports. 2. Fossil Fuel subsidies. The IMF, World Bank, and the G20 have all called for the phaseout of fossil fuel subsidies, worth an estimated $7-$10 billion per year in subsidies just in Australia. This needs to be tackled in some way, perhaps in a phased reduction to allow companies to adjust. Doing nothing and not including it in policy is an avoidance of the issue and does not provide transparency to the electorate. Continuing with fossil fuel subsidies is a free market distortion that needs to be eliminated in the transition to a zero carbon economy. 3. Pre-2020 ambition. The ALP policy does not mention pre-2020 ambition at reducing greenhouse gases. Under Kevin Rudd’s Copenhagen Accord commitment, that was further endorsed in Cancun in 2010, that had a phased conditional increase in targets when certain international conditions were met. Nearly all of those conditions have now been met that would entail lifting our 2020 target to 20-25% reduction. CAM and Peter agreed on the importance of a just transition for workers and communities affected by the phasing down of unsustainable industries. This is not just an add-on, because the only possible transition is a just one, since the fossil fuel lobby will seize on the prospect of communities left behind in order to sabotage the process. Some people like local climate science communicator and CAMoreland member David Spratt say we have no carbon budget for 1.5C left today, while estimates based on the IPCC say we might have 4 years of carbon budget left after which we need to somehow sequester a tonne of carbon for each tonne we emit. Unless we can up our game before 2020 we can probably say goodbye to any chance of meeting the 1.5C target and even keeping well below 2C will be very difficult. 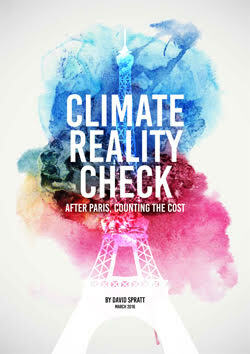 We left a copy of David Spratt’s Climate Reality Check (PDF) for Peter and his policy advisor to peruse. You can visit Peter Khalil’s Facebook page or website. We will continue our conversation with Peter to advocate for strong action on climate change in Caucus and in the Federal Opposition, and to strongly support the local transition to a zero carbon economy. Entry filed under: Labors Climate Record, news, Politician education. Tags: Peter Khalil, Wills. Snap Melbourne protest on Federal funding of Adani Coal mine	Hazelwood closure equates to the average cost of upgrading to an energy efficient light globe.